b.VPN is a provider that gives customers all the basics needed from a VPN, without any additional service bells and whistles. While b.VPN might not have the frills that other VPN clients offer, it has impressive 24/7 customer support and is a good VPN choice for anyone seeking simplicity. At $9.99 for one month of service, b.VPN is comparable to other VPN providers in terms of price. However, for a six month subscription, the price drops to $8.33/month, and for one year, the price is $7.50/month. 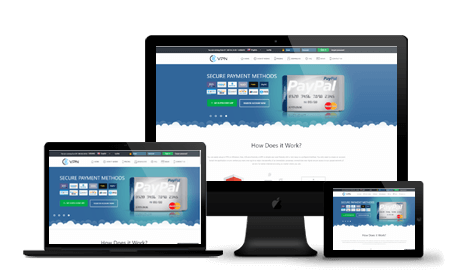 They also provide many different payment options. This means that people who are in countries where it’s not easy to get international credit cards in dollars or euros will have no problem signing up for their service. Each plan can be used with up to 6 devices and offers unlimited bandwidth. b.VPN is based in the Netherlands, and has 32 servers in 15 countries worldwide. The web site is available in Chinese, Russian, English, Arabic, Turkish, Turkish, Urdu and Farsi. b.VPN has an Android app that is available in English and Arabic. The VPN allows users to hide OpenVPN connections in an SHH tunnel, as well as another feature called SMOKE, a customized VPN tunnel that helps users go around VPN blocks. b.VPN is a bare-bones service with clients available for most platforms. Of course, users do not strictly need clients, but the client can make the configuration easier. It also offers Shadowsocks, an Independent protocol that can be used as an alternative for using b.VPN OpenVPN Client or the b.VPN application. v.VPN offers L2TP and OpenVPN protocols. They do not offer PPTP, but that has been deemed not secure by Microsoft, who invented the protocol along with other companies. They also offer SSH, which is not a VPN protocol at all. SSH is used to connect to a remote server from the command line. The company does not keep any logs on user activity, thus helping to enhance privacy and security. A good way to check the quality of a company’s VPN support is to send them a support question before you sign up. With b.VPN you have to sign up before being able to send them an email. We did this, and four hours later, there was still no response to the email support request. On the other hand, we sent their chat support a message via their website, and they answered right away. b.VPN promises 24/7 customer support, which is more than many providers claim. It seems that the best way to reach an agent is through the chat system on their site or through their Facebook page, which their chat support suggested we use. We tested b.VPN on a Windows PC using the Ookla Speed Test site. The speeds you experience will vary, depending on the server and protocol you select. You should see the fastest speeds from b.VPN’s UDP-based SMOKE tunnel, which was developed to bypass firewalls. When we ran tests on London-based servers, we got really encouraging results. As long as you opt for one of the UDP-based options, you should find that b.VPN won’t hold you back in speed. The setup instructions for L2TP are straightforward and easy. They provide the IP address of the servers without having to click through a lot of tutorial-type screens, which the experienced user doesn’t need anyway. The OpenVPN setup is easy. You simply download the config file which b.VPN has already set up with the IP address for the server that you selected. On Mac OS, you would use the opensource Viscosity client. For iOS, since Apple does not let third party companies create VPN connections, the iOS client creates the VPN configuration for you. Then all the user needs to do is to click it to make the connection. b.VPN offers step-by-step instructions with screen shots for those who need visual assistance. VPNs have become a commodity product. The most important aspect is that the VPN has servers in the locations you need, supports the protocols you want, and has a client if you need to use one. So, given all of the characteristics mentioned, b.VPN serves as an excellent option. b.VPN also has the added bonus of being a great VPN for countries that have high levels of internet censorship, like Russia and the Middle East. It provides language support for those locations and payment options available to most of the population in those regions.